A lip-smacking, protein-packed, environmentally-friendly treat. 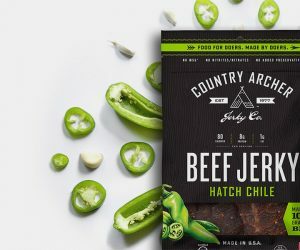 Country Archer Jerky comes in a range of delicious flavors such as chili, mango, teriyaki, or good ol’ original, using 100% grass-fed premium beef and all-natural, organic ingredients. Handcrafted in the U.S.A. and free of preservatives, jerky just don’t come any tastier or as nutritious as this. Everyone’s favorite sauce has had a seriously posh–and limited–makeover just in time for every romantic’s favorite day. 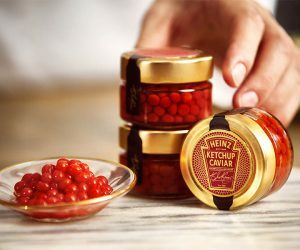 A sweepstake will see 150 lucky winners gifted a jar of Heinz Valentine’s Day Ketchup Caviar, but don’t worry fish egg-fearers, it’s not real caviar but rather sweet little pearls of ketchup. Click on the link to enter. We all know that the bowl licking is the best part of baking, and now you can really knock yourself out with Edoughble Edible Cookie Dough. 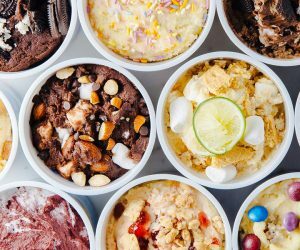 The “mom approved” concoctions are free of egg, raw flour and chemical leavener and yours in a choice of lip-smacking flavors like milk n cookies. Or opt for the awesome Dough-It-Yourself Kit. 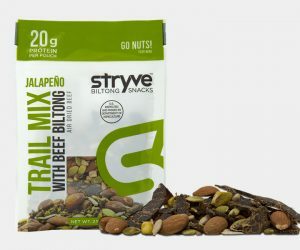 Keep your strength up while hiking or use as a super snack, Trail Mix with Beef Biltong offers the world’s healthiest grazing. Full of lean protein and healthy fats, this tasty trail mix is free of nasties like MSG, hormones, and antibiotics, as well as allergy-triggering soy, gluten and peanuts. Choose from three flavors: original, dark chocolate, or, our favorite, jalapeno for a little extra kick. 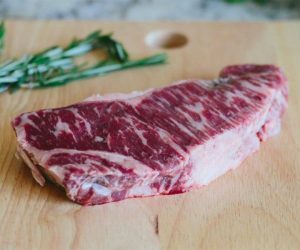 A sumptuous selection of slabs of premium meats that promise to melt in your mouth, KC Cattle Co Wagyu Beef is among the best we’ve sampled (and even better with a side of scotch or bourbon). It’s yours in a choice of cuts–including ribs and ground–and we recommend you keep things on the rarer size, nobody wants to be chewing on a tire when the meat’s this good. Spam and their wide selection of luncheon meat make the world a better place. 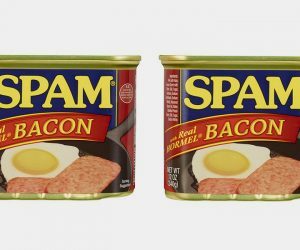 Our favorite, SPAM with Bacon is a combination of SPAM Classic and bacon in a can. Just like the classic, this version is delicious, convenient and budget friendly. This fully cooked meat is ready to go whenever, wherever and can be served hot or cold.